No Alt-Tab: I was under the impression that alt-tab window switching was a standard feature of every desktop environment since at least Windows 98. So where the hell is it in XFCE? Nowhere! That’s where! Instead, I enabled the ring switcher plugin for Compiz, which I had to run in order to use GNOME Do anyway. Default Browser Doesn’t Save: This one started out with the crappy default web browser that comes with XFCE, Web Browser 2.26.3. It is allegedly a GNOME project (which is odd to say the least, since this is XFCE, and GNOME defaults to the Epiphany Browser). In any case, even after setting the default browser to Firefox (Iceweasel in my case), the system still launches all links in this inferior app. Cursor Set Doesn’t Apply Immediately: Along with changing the default web browser for my system, I changed the cursor set. The default one was ugly, so I grabbed some new ones from Synaptic, and set one in the mouse theme options dialog. The problem is that the cursor set doesn’t change until some random amount of time has elapsed after I log on. So my session begins with the old, ugly cursors, and then eventually gets around to changing over to the prettier new ones. What the hell? GNOME Do and Screenlets Don’t Always Start: This one is likely related to running Compiz on top of XFCE (which includes it’s own compositing engine), and the order of startup applications. In any case, sometimes when I log on, GNOME Do and Screenlets fail to start, and I have to bring them up manually. I have a feeling that this is because Compiz hasn’t yet started, and the applications fail, as they rely on it being there. Still, a hearty WTF to this one as well. Default File Browser Lacks Network Locations: The XFCE default File Manager is Thunar 1.0.1, which is fine, except that it does not include any way to browse network shares. In GNOME, I can hit the ‘Network’ place, and immediately view any available SMB share drives on my local network. As of yet, I haven’t figured out how to find or mount network locations through the XFCE GUI. The ‘Start’ Menu Fails: I never thought that I would say this, but I find myself longing for the Applications/Places/System menus of GNOME, instead of the mashed together start menu that is present under XFCE. Although this could just be because I’m not yet familiar with XFCE, I find it harder to locate programs in this menu system. The GNOME organization just felt more logical once you got used to it. Lack of Default Features: This speaks mostly to the organization of XFCE. Instead of including every imaginable feature in the default install, extra features are added through a series of plugins, so as not to bog down machines that don’t require them. As such, my default install did not include a battery level indicator, a wireless network strength monitor, or a slew of other ‘basic’ desktop environment features. Installing the package xfce4-goodies fixed all of these problems. Of course, not everything about XFCE is bad. So far, I’ve found it to be stable and exceedingly fast. X11 hasn’t crashed once, although I have no doubt that it will; and once I installed the xfce4-goodies package, I found the environment to be very functional. Overall, I am pleased with my choice, even though there have been some minor setup annoyances. I found that a lot of the extra apps I installed did not get installed in the start menu and I had to create “icons/shortcuts” on the desktop to run these. I also found I could not drag applications from the menu to the desktop so that I ALWAYS had to go to the menu. Those 2 actually caused me to finally go back to KDE. Your first two looks like distro related issues. I just checked a vanilla install of XFCE on Arch, and Alt+Tab works. On top of what distro did you test XFCE? I can’t understand why a package manager would install yet another web-browser. If a web-browser would have been added it should logically have been Midori since it’s a XFCE project. Hence it would be fair to question the packagers of the distro and not XFCE about these two complaints. I would only see #5 as an issue, even though you easily could choose a file-manager that has the features you’re looking for. Still if you review plain XFCE applications then it’s a con (even though there’s ways of getting Thunar to show network places). I was a XFCE user, but am nowadays addicted to tiling window managers. 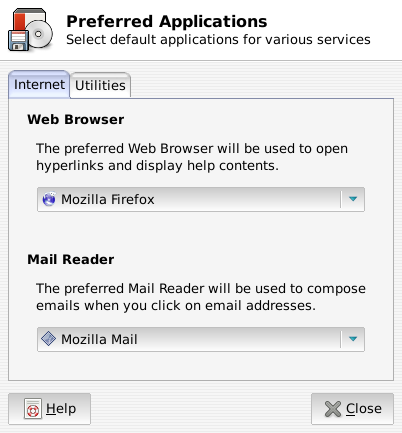 “the crappy default web browser that comes with XFCE, Web Browser 2.26.3.” –> this must be specific to Debian. Not seen in anything else (I have to admit I’m using Xubuntu 9.10). Besides, based on the number (2.26.3), this suggests a GNOME application, which normally should be Epiphany! Either way, this can’t be imputed to XFCE — it’s Debian’s bug. In XFCE, Alt+Tab works regardless of Compiz being used or not (actually, not using it). 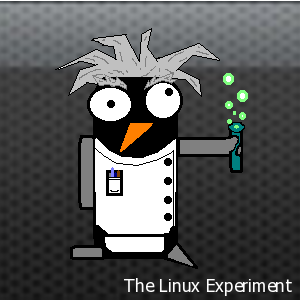 If you want to test XFCE4 state-of-art in Debian you must run testing (Squeeze) instead of Lenny. Just so we’re all clear, I’m running XFCE on Debian Squeeze (more correctly, from the Testing repositories, as Squeeze hasn’t actually been released yet). I, too am a little fuzzy on where Web Browser came from – it seems nonsensical to add yet another browser to a stable system. To be honest, the whole idea of a new Desktop Environment installing a bunch of extra software on your machine kinda bugs me – I didn’t really need a bunch of new apps to deal with. I too, am running squeeze with xfce. You can fix problem number one by removing the epiphany browser. oops, I meant problem #2. sorry about that. regarding problem #1, no alt+tab, that must be a compiz issue. Alt+tab works just fine on my system. Thanks for the comment Bobby, I went ahead and removed all of the other browsers, and the defaults magically worked. My point stands, however, that defaults should probably work regardless of how many browsers I have installed. 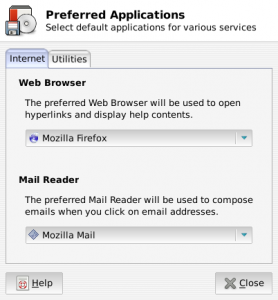 Because, you know, it’s important that everything that I install under Linux comes with yet another web browser. As for the alt+tab, well I haven’t figured that one out yet. Could just be that I’m bad luck. Alt Tab has just worked for me since I started using XFCE years ago. Further, XFCE uses exo-open which I’ve never had a problem with respecting the preferred application settings. Similarly, the cursor changes immediately for me, and the menu uses the same /usr/share/applications/ launchers that Gnome uses. Lastly, the xfce4 panel plugins for things like WiFi strength and battery level are absolutely useless on desktops; I don’t think it’s unreasonable that you have to install plugins for things that apply to the minority of users. The one valid point (#5) is now addressed by the way; thunar supports network locations now.